I encountered this while processing my home loan documents with UnionBank. Since my sister (who is my co-borrower) is working in Canada, I needed to sign all the bank documents in her behalf (unless she actually wants to fly back here in Manila). As a requirement, we had to submit a Consularized Special Power of Attorney. Unlike a regular Special Power of Attorney (SPA) where you only need a lawyer to notarize the papers, the Consularized SPA needs to be brought to the Philippine Embassy in the country where the person involved is located. For our case, my sister went to the Philippine Embassy in Vancouver. So, what do you need to bring when processing a Consularized Special Power of Attorney? 1. The SPA form itself. It doesn’t have to be notarized (rules may be different in other Philippine Embassies). 2. Your passport, and depending on rules of the Philippine Embassy in the country where you reside, you may need to bring an ID and additional documents. It is advisable that you call them first beforehand. You can go to ph.embassyinformation.com to lookup for contact information of Philippine Embassies worldwide. I have encountered like this as well from my bank in the Philippines who is asking me a consularized SPA. So now i am still waiting for the respond email from the embassy here, on what are the requirements and payments to obtain the SPA. Hi Mhel, where are you located? Hope you would share the Embassy’s response when you receive it. how can i authenticate the consularized spa? @Josie, It should already be “authenticated” once consularized. I need a consularireizef special power of attorney. What’s can I obtain the SPA form? I need a consularized special power of attorney. Where can I obtain the SPA form? Hi Alice, where do you need the consularized SPA for? If this is for a bank loan, the bank should provide you the form. Where can I get the SPA form for land selling if the person involve is currently residing in Norway? The form should come from the Philippines, and be consularized in Norway (that is assuming that the property is in the Philippines, and the buyer is in Norway). I need consularized special power of attorney, for claim of documents certification of registration in toyota financing. Hi Prince, ask you representative in the Philippines to sign the SPA, and send it to you. You then bring it to the Philippine Embassy in your location to get it authenticated/consularized. 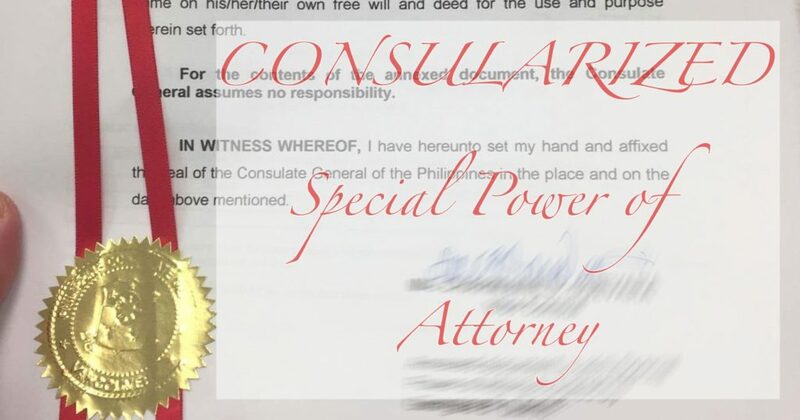 I need a consularized special power of attorney to collect documents in the Philippines. My representative (SPA) lives in the Philippines while I’m in Canada. Hi Amy, ask your representative to sign the SPA, and send you a copy. Then bring the document to the Philippine Embassy or Philippine Consulate General office near you. Salamat. Oo nga e. Madodoble pa tuloy ang papadala ko. Sorry, I’m not sure po kung may ibang conditions pag seaman at on board. Pwede po siguro sya mag-inquire sa Philippine Embassy ng susunod na bansa na mapupuntahan nya. Hello Ma’am, bale sa Hawaii po siya magpapa-red ribbon since dun ang current location nya. hi, ask ko lang po, my idea po kayo magknu pa consularized power of attorney in dubai? hi, un po bng spa na gling sa developer for home loan, once naibigy na po sa amin ung spa, dretso pdla na po ba un sa dubai or may mga kailngan pa po requirements bago ipadla? co-borrower po kasi ang brother ko na nasa dubai.. thank you..
Hi Maria, ung SPA lng po kailangan ipadala. Hi Mandy, depende po sa location. Sa Canada ata mga CAD$35. More or less ganun din po siguro sa ibang countries. My brother will apply for a bank loan, and he wants me to be his co borrower, so he’s asking me to have a consularized SPA , but I’m here at taiwan..where can I get the SPA form..does the embassy provide such? Yung SPA form po manggaling dapat sa bank dito sa Pinas. Madalas naman meron na sila template fill-out nyo na lang. Paano kaya sa seaman, saglit lng kmi s port at malalayo pa mga consulate, pwede b isend n lng thru email s consular? Hi J, Hindi po ata pwede via email, kailangan pa rin personal appearance. Hi Lucresio, I guess ung Consular Officer na po magdedecide kung pwede yung gusto nyo. Hi Rome, sorry naka-depende po yan sa policy ng bank. I’m assuming, co-depositor po ang asawa nyo? Di ko po sure. Wala po tayo magagawa kung ganun ang policy nung banko eh. Check nyo po sa terms and conditions nila. hi po. nagpadala ng consularized spa ang husband ko from washington dc, pero wala pong signature ang husband ko sa annexed document, doon lang sya nagpirma sa photo copy ng id nya na kasama ng document, sabi nya no need na daw ang signature nya kasi galing na ito mismo sa consul. ang tanong ko po, valid na po ito kahit wala syang pirma? bakit po may pirma ang vice consul kahit walang signature ang husband ko?? Normally po, ung page ng SPA form lang mismo na may lines to be signed ang kailangan may signature. Pero kung may iba pang pages na ni-require ni bank na dapat pirmado, si bank po ang masusunod. I called the Philippine Consulate to consularized a document like SPA provided by the Union Bank of the Philippines. The form will be signed by my representative and mail it here in Toronto to be authenticated or consularized. The consulate officer told me that the SPA must be notarized first before bringing it over the Philippine Consulate. The SPA by the UBP is in their format with the Republic of the Philippines by the bottom part. I think my lawyer here won’t use that UBP form signed by my representative and notarize the SPA. How can that form be authenticated if it cannot be notarized by my lawyer here in Toronto. What is the best procedure when that SPA form in UBP format is not applicable for notarization here? 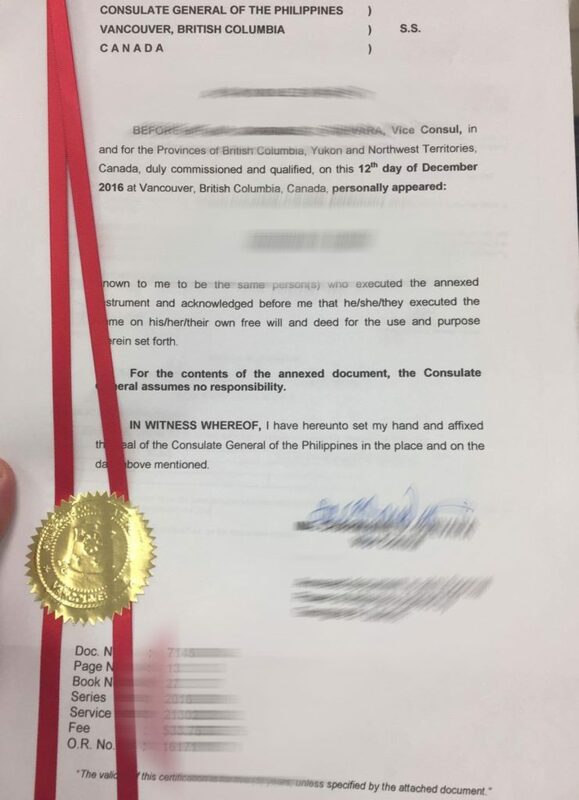 Maybe the officer meant notarized in the Philippines, and not in Canada? Because neither Union Bank nor the Consulate officer required me to get my SPA notarized back when I processed mine. That was over a year ago, so the perhaps the process has changed. If so, you may need to work this out with the bank. NiLAGYAN NA PO NG RED RIBBON nd signed by the Vonsul YUNG SPA KO NA DINALA NG SISTER KO SA. Philippine EMBASSY sa Virginia pero hindi po nakanotarized. Ok na po ba yun. NiLAGYAN NA PO NG RED RIBBON and signed by the Consul YUNG SPA KO NA DINALA NG SISTER KO SA. Philippine EMBASSY sa Virginia pero hindi po nakanotarized. Ok na po ba yun. Basta po nilagyan ng red ribbon ok na po un as far as consularized SPA is concerned. Ask nyo na lang po siguro sa bank kung required pa nila na ng may notary. My boss, who is a Japanese, is planning to rent a unit here in the PH and is appointing me to sign it in behalf of him. I believe this needs an SPA. Does he need to have the SPA consularized in the PH Embassy in Japan? Yes po. On the other hand, baka hindi na kailangan ang consularized SPA kung rent since meron naman security deposit? Yes. I mean, we also paid 2 months worth for the security deposit and the rent is only good for one year too. I wanted to check and I am unsure where to inquire really. I was planning on just having it notarized only. The rent owner is okay with such an arrangement too. But I was unsure if it might not be binding. Also, from all my searches on how to go about this, almost all of the steps for consularization is done by Filipinos outside the country. Is it still required for non-Filipinos? Hi Chin, yes po. Kasi mga banks lang kadalasan nag-rerequire nun for loans where an OFW family member is a co-borrower. Kung ano po siguro ung requirement ni owner, then you will need to comply. Medyo overkill lang for me ang consularized SPA for a space rental kung meron ng security deposit and all. Hi po adk ko lng po kapag kumuha ba ako ng spa sa embassy ko sa dubai ee consularized na din po ba un?? Yes po. Basta may signature sila, seal, and red ribbon. My mother is in the US. Her GSIS pension account is with Unionbank of the Philippines. Her ATM is up for replacement anytime soon, and UBP says by June, the old ATM will not be usable anymore. UBP advised making a consularized SPA so that I can be allowed to conduct transactions (especially claim her new ATM card) since she cannot come back yet. My question is: Is she the one who will make the SPA in the US and have it consularized there? Reading the comments above got me confused, as to who will make the SPA and where will it originate? The SPA form will come from here (the Philippines). You may ask UnionBank if they have a template that you can use, otherwise, you may prepare one yourself. You sign that SPA form, send a copy to your mom in the US, and she’ll bring that to the consulate office (in the US) for authentication. I highly suggest that you show the form to UnionBank for approval first before sending it to your mom, para iwas hassle. hi good morning..just want to know your opinion. I think it works either way for as long as your representative here in the Philippines also signs the form. I recommend that you consult PNB directly before taking actions to ensure that they will accept the document. Your aunt can call the nearest PH consulate office, and inquire if they would accept the SPA via mail. 3. Send sa canada ang SPA then dadalahin ng kapatid ko sa Phil embassy sa canada para maconsularized. Tama po ba ang steps? And how much po ang total ng nagastos nyo po and ng kapatid nyo sa SPA? Thank you. Tama po. Pero sa case namin, hindi na kilailangan ung step 2, kasi ung red ribbon na ang kapalit ng notary. Mga $20-30 CAD lang aabutin. I believe they require a hard copy po. Email the document to your contact in Canada, then sya na po mag-print bago dalhin sa PH Embassy. 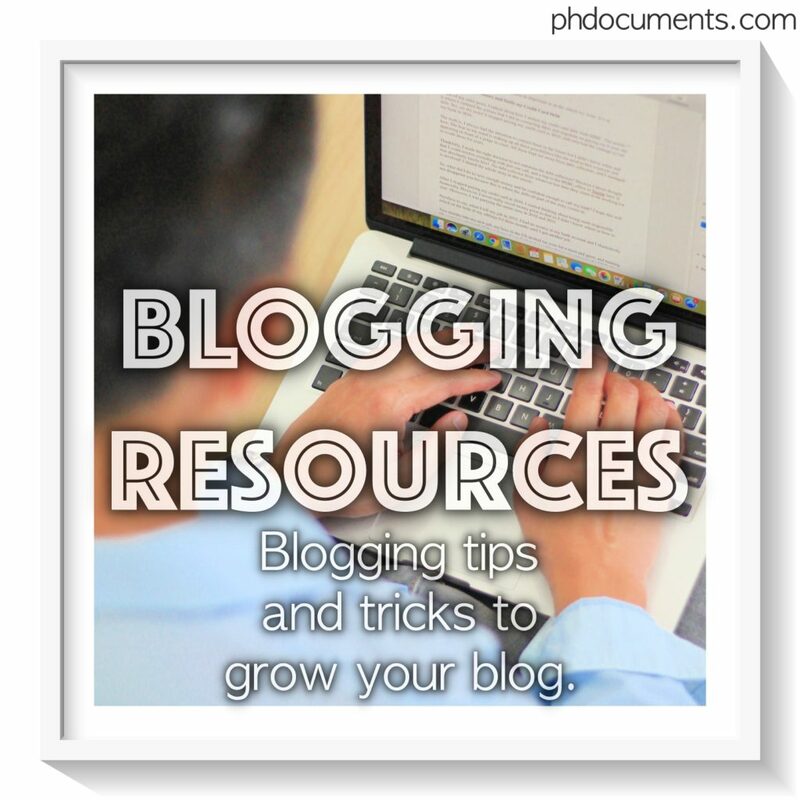 Nonetheless, your friend can contact them to check if they will accept the document via email. sir ely humihingi po si bank ng Consularized SPA gagamitin ko po sana sa convertion of vehicle from private to public transport ung father ko po ay nasa kuwait, paano po b ang process, kasi kumuha po ako ng SPA dito sa bulacan ang sabi nman sa akin kelangan daw andito ung father ko d daw kasi pwede ung non appearance… pwede po b na dun nalang sa kuwait embassy magpagawa ung father ng SPA tapos nka consularized n? Mas ok po ata kung ikaw gagawa. Pipirmahan mo kasi un bago mo i-send sa father mo. Pwede rin naman sya gumawa dun sa Kuwait, pero kailangan nya din ipadala sau para mapirmahan mo, tas ibabalik mo ulit sa kanya. Bale kailangan kasi pirmado nyo pareho ung SPA bago dalhin sa PH Embassy. Kung may SPA ka na nakuha dyan sa Bulacan, i-email mo na lang sa father mo, print nya dun tas pwede na nya un gamitin for red ribbon. Pero I highly recommend na ipakita mo muna sa bank kung approved sa kanila ung content at format bago mo i-send para ndi kayo mag-uulit kung sakali. Iwas hassle at gastos. ay un ngya po pla sir ely ayaw kasi ako gawan ng SPA dto klngan nga daw po kasi andito din daw ung father ko, pwede po kaya na gayahin ko nlng format nila ” ung s mga luma ko nlng na SPA” tapos tsaka ko ipadala sa father ko? pwede po kya yon? Pwede rin. Medyo weird lang kasi madalas ung bank ang nagbibigay ng form. Pero for as long as may signature kayo pareho at tinanggap ng Embassy, ayos na un. maraming salamat po sir ely. GB! 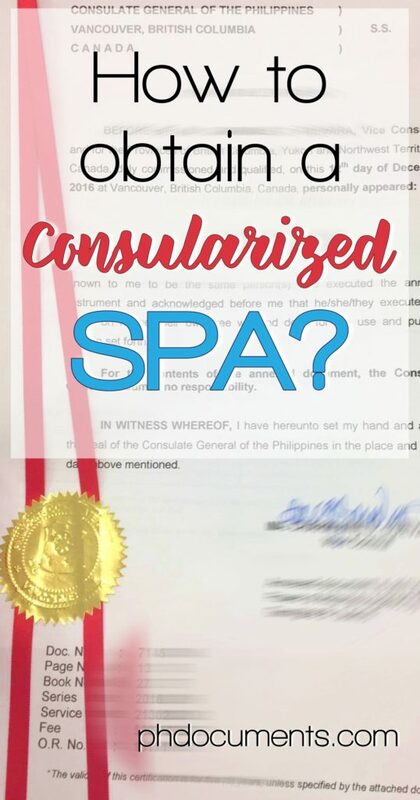 is a consularized SPA needed to sell property in the Philippines for the heirs (US citizens) of the estate? How to execute SPA while my brother is on board and does not able to go to nearest embassy due to lack of off shore? Depende po yan sa requirement ni bank. Pero kung wala sa Pinas yug dapat pipirma sa mga docs, need talaga ng red ribbon. Hi Jordan, sa mga law office po. Try niyo po sir sa PH embassy dyan sa Korea. Dalhin niyo lang po ung document na nag-aauthorize sa representative nyo sa Pinas na mag-claim nung title ng property niyo. Kayo po gagawa nun at dapat pirmado niyong pareho nung representative nyo bago dalhin sa embassy. bale sir ung authorization ako po gagawa then dpat pirmado napo namin nung taong inaauthorize ko bago ko po dalhin sa PH embassy.? eh ung consularize spa sir..sa PH embassy po ba manggagaling yun?? thank u po sa pag reply..
ok po sir salamat po ng marami..godbless po.. I just encountered your writing. Question, what it is just a business trip. My husband kasi is employed in a japanese company at pinadala sila sa japan for 3 years but technically they are still employed here. How do I get a consularized SPA for him. Or do I need to get one? I think the same process is applicable. Do you need to get one? 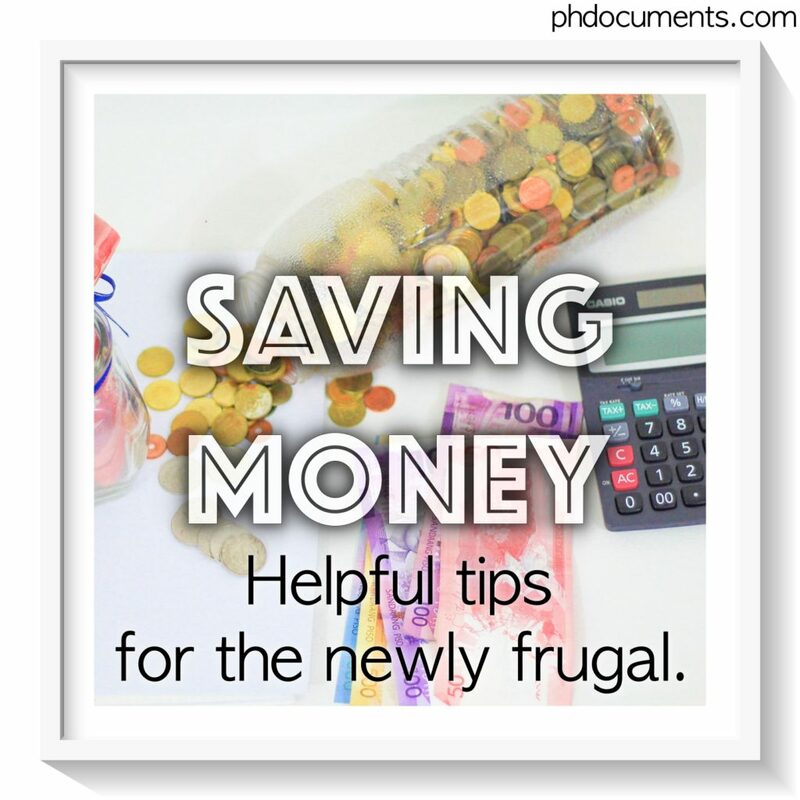 Depende po kung san niyo gagamitin; if it’s for a home loan, they would most probably require the consularized SPA if your husband’s signature is needed sa loan application. Pero kung nakakapag-bakasyon naman husband mo, baka pwede i-timing na lang ang pirhaman sa next vacation niya. That way, hindi nyo na klangan ng SPA. Hi po tanong ko lang pwede ba e consularized yung hindi nka pag sign ang SPA dahil yong form was sent via email, pro nka indicate naman na lahat ng details atsaka yung borrower will be the one sign., saka na lang mag sign ang spa kapag nka balik na yung consularized copy. Pwede nyo naman po i-try kung tatanggapin nila. Hello po, ask lang po ako. The bank gave me an spa form for car loan. I am the borrower, then my co maker is my mother. Since my mother is married to a japanese man. They gave me an spa to notarized there in japan. Bakit po kelangan ng spa, eh ang mother ko ay nandito sa pinas, while her husband is in japan? Pls answer me. Thanks po. Ang alam ko po ay pag legally married ang isang borrower or co-borrower, automatic co-borrower din ung spouse. Kaya siguro need ng SPA for your mother’s husband. Pwede po kayo kumunsulta sa lawyer kung pwede yun magawan ng paraan.